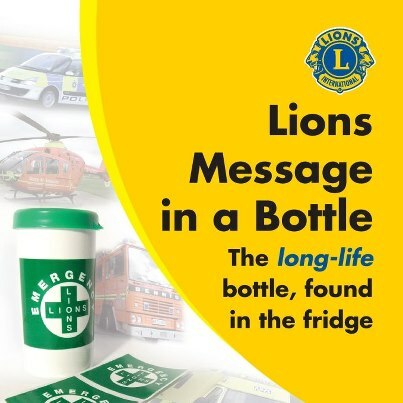 Every year Ammanford Lions Club take part in many local, national and international projects. Below is a list of some of the projects we have been involved in over the last couple of years. Since 2013 Ammanford Lions Club have taken on the responsibility of looking after Ammanford Station. In 2016 we adopted Pantyffynnon Station too. We do this with the support of Arriva Wales and Network Rail. We make regular visits to check on litter and any other problems. We look after the flowerbeds and planters and have painted the railings and cycle racks. Saron Primary School have produced a mural for the shelter at Ammanford Station. We invite 50 people to pay £4 a month towards our "50 Club". In return they have the chance of winning a monthly prize of £50. countries where they will have the greatest impact. Message in a Bottle is a simple idea which allows people to keep their personal and medical details on a simple form in their fridge. Should that person need medical attention the emergency services will be directed to the fridge by a sticker on that person's front door. 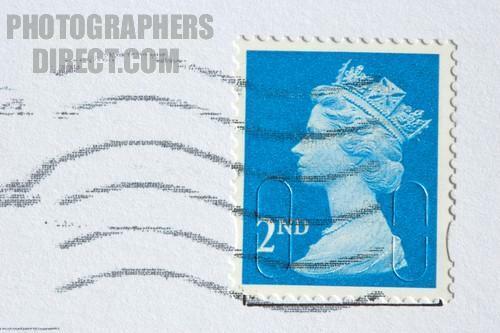 We collect used stamps and deliver them to a local coordinator who sells them to raise funds for Water Aid. 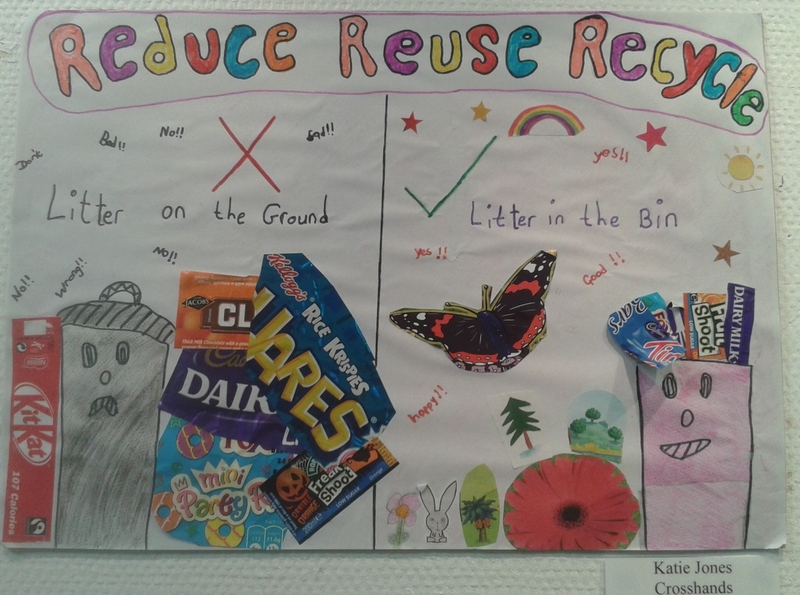 A new initiative, starting in 2019, to tie in with the District wide campaign to cut down on litter. 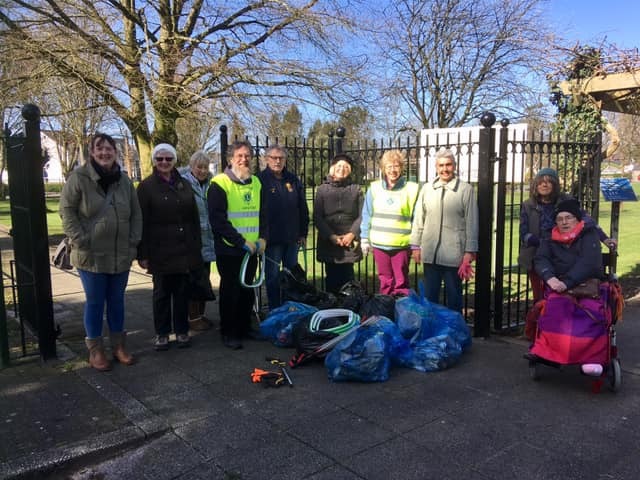 Once a month, we encourage local members of the community to take part in a two hour litter pick. Each month we choose a different place to tidy up. We fundraise so that we can respond to any appeals for support. In the main we support local causes but we also contribute to national and international appeals for funding. Sometimes we fundraise for a particular cause. One cause we collect money for each year is the Marie Curie Cancer Care Daffodil Appeal. Lions can be seen around Ammanford with their collecting tins in February or March. Every year we sponsor a 10K run organised by Amman Valley Harriers. The Club purchases trophies and supplies t-shirts and water for all the entrants. This event takes place on the second Sunday in July. Each year we hold a competition for local schools. The theme varies from year to year. Schools have been invited, for example, to design a Peace Poster, an Environment Poster and a Peace Poem. This is well supported and the entries are always of a high standard. Each school submits a winner and a runner up and these chilrden receive tokens. The Town Mayor usually chooses the overall winner. The winning school receives £100. Children and parents are then invited to a presentation evening. Each year in November we support Children in Need. 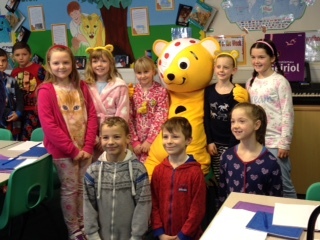 The Club visits over 40 schools with a Lion member dressed as Pudsey Bear and a fellow Lion to guide the way. Children love these visits and they are invited to put money into a bucket. This event usually raises at least £9000 for Children in Need. We have been fortunate to have permission to collect outside Tesco in the days prior to Christmas. Our "Tree of Light" project is now in its fourth year. 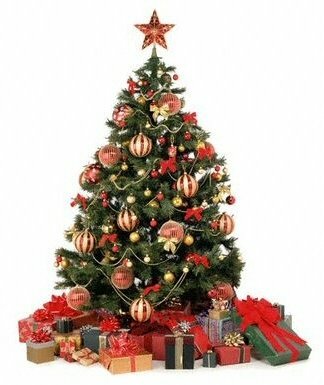 For a minimum donation of £5 you are invited to sponsor a light on the Tree in memory of a loved one or cause. The Tree is sited inside Llandybie Parish Church until Christmas and is switched on at the beginning of December. On an agreed date at the beginning of December a "Tree of Light" service is held in the Church. This is a relaxed, friendly evening which begins with carols sung by Llandybie School Choir. Ammanford Town Silver Band accompany the carols. The service includes a blessing, a few words from the Vicar and the switching on of the "Tree of Light". The names of all those remembered are placed in a Remembrance Book or Llyfr Coffa. A remembrance card is sent to each sponsor prior to Christmas. In December 2016 we introduced our Christmas Sleigh. Santa had a busy few nights touring the streets around Myddynfych, Llandybie and Betws. We were delighted with the support we got from the residents and their children.